This study tested the association between consumption of dark chocolate enriched with extra virgin olive oil or Panaia red apple (table 1) with atherosclerosis progression in healthy individuals with cardiovascular risk factors. Urine and blood samples were collected at baseline and after the intervention. Urine samples were analysed by proton nuclear magnetic resonance spectroscopy for endogenous metabolites. Circulating EPC levels were assessed with flow cytometry. Smoking status, body mass index, blood pressure, glycaemia and lipid profile were also monitored. 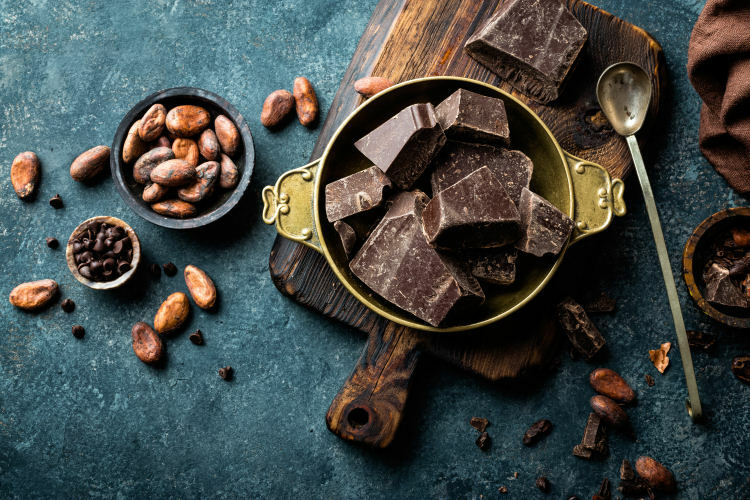 After 28 days, the researchers found that the chocolate enriched with olive oil was associated with significantly increased EPC levels and decreased carnitine and hippurate levels compared to both baseline and after consumption of apple-enriched chocolate. 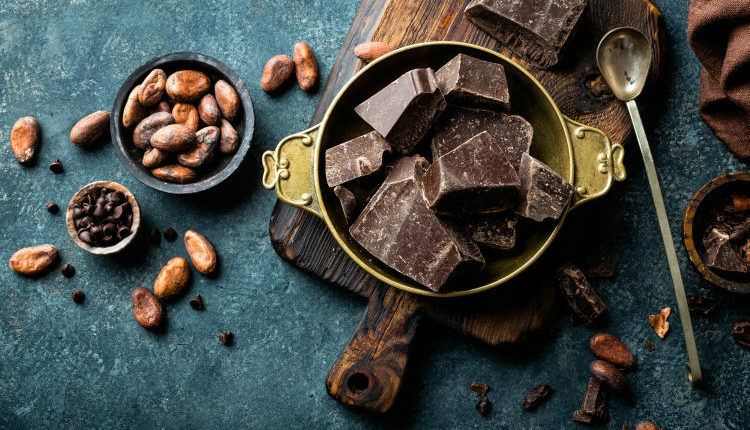 Olive oil-enriched chocolate was associated with significantly increased high-density lipoprotein (“good”) cholesterol and decreased blood pressure compared to baseline. There was a non-significant decrease in triglyceride levels with apple-enriched chocolate.